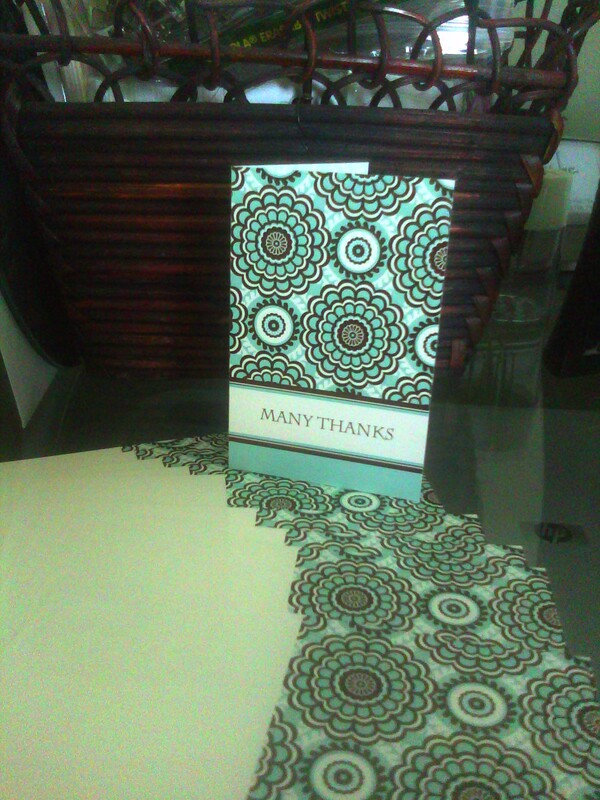 I received the most adorable folded note cards the other day from Expressionery.com. They are from a new line of cards called Instant Gratitude Cards. They are really small and can be personalized on the front (blank inside) and come in a pack of 10 for $5. You can use them for a variety of purposes. Some great ideas are: handing one to your favorite drive-thru worker saying thanks for always making my coffee just right~Maybe putting one in your child's agenda book for the teacher just to say thanks for all she/he does each day for your child~ Your grocery bagger would feel extra special getting one of these cards~ The possibilities are endless! I think I will use these for some surprise muffins I plan to make for my kids' teachers just as a random thing. You never need an occasion to make some one's day! Imagine the impact a tiny card can make on someone. I received a 10 pack of cards for review purposes. All opinions are 100% mine as always. Those are so cute & sophisticated! Its so nice to have cards available to tell someone thank you. Those are really pretty. I love receiving thank you notes - it's the sweetest gesture. I want to get more in the habit of sending them myself. Oh, I love these Shelly! I like having cards on hand for teacher notes. Thanks for the post! Those are so cute! I have a weird obsession with notecards/stationery...I have a whole box of different things I've made/bought, haha! In today's all-digital world there's nothing like getting a handwritten card.